The InfraPower W-Monitored PDU Series is an industrial grade rack mount power distribution unit providing local and remote RMS current monitoring. 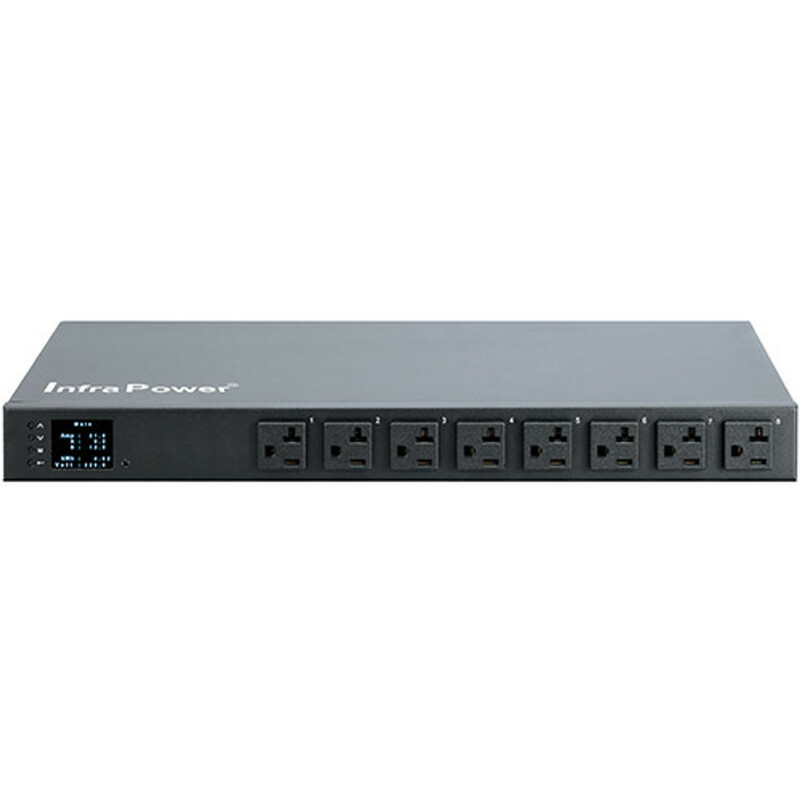 The Infrapower W-Monitored Rack is available in either rackmount or vertical, with between two and 24 receptacles. The W-Monitored Rack PDU Series contains a sensitive, easy to read, 1.8" color LCD display for sharp and highly visible reading of current, voltage, power, energy consumption, power factor, temperature, and humidity. Backed by a two-year replacement warranty, the W-Monitored Rack PDU Series meets or exceeds all international standards for rack mount power distribution units and is UL, UCC, and CE certified. These monitored PDU have the ability to “daisy-chain” numerous units together in order to remotely monitor temperature, humidity, data, reporting, alarm settings, etc., within your cabinet(s), as well offering the ability to switch outlets on and off as needed. Monitored PDU's with "_M" are considered the “master” or “parent” unit if multiple are utilized. By purchasing the “Master” unit, it allows user to enter the system and monitor all daisy-chained PDU’s at the same time. Units without "_M" are typically the “child” unit. These also offer remote management like the above, but without a “parent / master” unit, each power distribution unit used would need to be monitored individually.